The Special Operations Executive (SOE) was a secret service formed in 1940 to encourage resistance in Occupied countries. Using the cover name of the 'Inter-Services Research Bureau', it recruited its first members from the public school networks in the city, but soon accepted military personnel and civilians from all walks of life. The head of SOE's French Section (known as F Section) was Maurice Buckmaster, whose small team was based at 64 Baker Street. Between 1941 and 1944, F Section sent more than 400 men and women into France to work undercover and sabotage Germany's war effort. Passing through a series of stately homes and country estates used as training schools, SOE's agents quickly learned all aspects of guerrilla warfare and clandestine life. 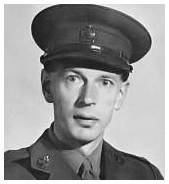 With his background in radar technology, Harry was chosen for the especially dangerous role of wireless operator, a job with an average life expectancy of just six weeks. In order to pass as a French citizen, he was given the false identity of 'Henri Chevalier'. All clothing, money and personal documents had to appear completely genuine, as the smallest detail could give an agent away. Paired with a Mauritian organiser, Claude de Baissac, Harry's mission brief was to establish a new SOE network called SCIENTIST in Bordeaux, which could disrupt enemy naval activity and sabotage other important local targets.